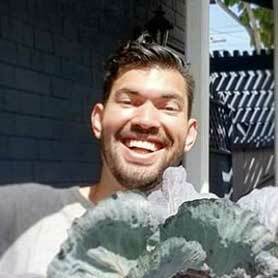 1 Brush Cutters vs. String Trimmers: What’s The Difference? 2.2 What Are You Cutting? If you’re at war with overgrown grasses and shrubbery on your property, you already know that a cheap low-powered weed whacker isn’t going to cut it. You need something more powerful. But how do you choose a brush cutter that will handle the bushy undergrowth you have? Do you want something that multitasks, or just a machine that’ll get the job done? Let’s get deep into the topic and find out everything you need to know about brush cutters and how they work. Brush Cutters vs. String Trimmers: What’s The Difference? While brush cutters and string trimmers are similar, you’ll want to pick what works best for your job. Let’s compare and contrast the two. Your average garden-variety string trimmer uses a piece of cord to cut through light brush and weeds. As the nylon cord spins at a high rate of speed, it slices right through grass and weeds at the height you’re holding it. This makes it particularly useful for dealing with that explosion of dandelions on the lawn, and guarantees that you can keep the edges of planters tidied up with ease. But it won’t handle woody stalks or dried brush very well. They tend to have a less-powerful motor, too. Using a spinning blade in lieu of cord, brush cutters gnaw through heavier stuff with ease. They may cause splintered wood or chips of stone to ricochet away from them, so wear long pants and sturdy shoes when using them for safety. 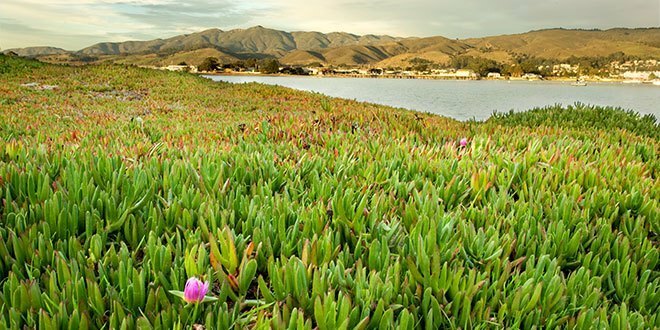 While you can use these to trim the lawn, it’s just not as effective — these are made for destroying tumbleweeds or overgrown areas, not for yard maintenance. Before even looking at the various components of brush cutters or string trimmers, there’s a few aspects that need to be decided. These include your budget, what materials you’re cutting down, if it’s a small or large job, and whether you can handle the machine you are getting. Typically, brush cutters cost more than string trimmers… quite a lot more, in fact. So it’s important to decide if your job actually requires that level of power before laying out the money. You might also be able to get a string trimmer that can use brush cutter blades, but dual-purpose models also typically cost more or require attachments. Electric is generally cheaper than gas, but doesn’t always have the same power behind its cutting capability. 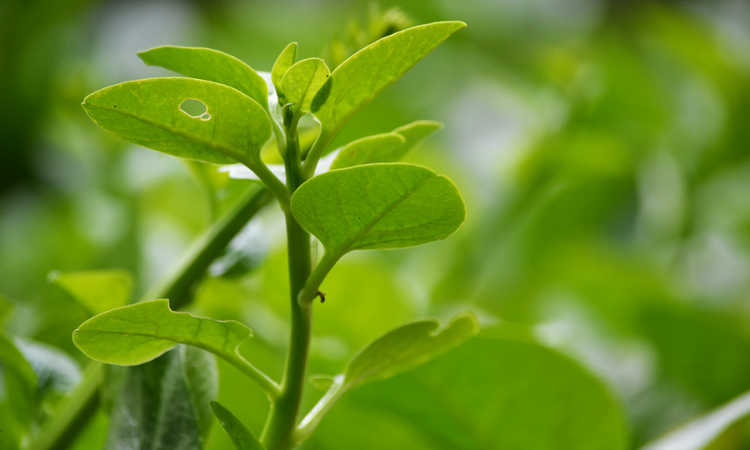 If you’ve got a whole lot of hard, tall, or thick weeds, slender tree saplings, or overgrown bushy material, that’s when you will generally need a brush cutter. A good rule of thumb is that if the material you have to cut is a quarter of an inch in diameter and is brown, not green, you need the brush cutter. 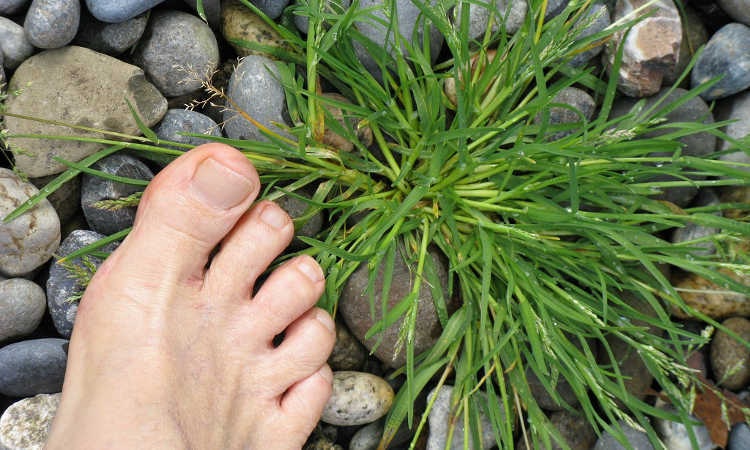 Are you only working on a quarter-acre yard, or do you have five acres of property? The size of your job matters, in this case. If you’ve got a reasonably small yard, there’s alternatives to brush cutters which are a whole lot cheaper, but if you have a lot of property, you’re going to want to speed up the process of maintaining your land. Brush cutters are weighty beasts. They have to be, just to handle the rigors of demolishing the rough stuff. That’ll start to take a toll on you physically as you maneuver this big contraption around, so be mindful of how long you use your brush cutter. Treat it like an exercise routine, because it can really be one. You’re directing a vibrating, heavy-weight implement around and keeping it stationary as it chews through heavy materials. Stay hydrated, take regular breaks, and if you start to get sore, it might be time to stop for the day. There’s some key features of both brush cutters and of string trimmers that you’ll need to be aware of before you buy. The vast majority of brush cutters on the market are gas powered, but you can find some crossover electric units that combine the relative quiet of an electric machine with the ability to use either string-trimming or bladed brush cutter attachments. Really, the choice is up to you, although finding a quality crossover unit can be quite difficult. If all you need is a string trimmer, electric units are widely available and tend to be much lighter-weight than their gas-powered counterparts, which makes them easier to maneuver into tight spaces. However, electric options either use battery packs that wear down quickly, or they’re tethered by a power cord to their power source, which does limit their use somewhat if you’ve got a large area to clear. Gas units are far noisier than electric, but you aren’t tethered to a power source, which is a perk. They also tend to be hefty, often coming with some form of harness to help you hold on to their drastically-increased weight. Gas powered brush cutters come with either 4-stroke or 2-stroke gas engines. The main difference in the type of engine is in how they function. 4-stroke engines are heavier, give more power output, and run cooler. The design tends to be a bit unbalanced, is more complicated to maintain, and also tends to cost more. 2-stroke engines are easier to maintain, tend to operate with much more balance, and have smaller engines, making them well-suited for handheld garden tools. Electric units tend to be available in 20 volt or 40 volt options, with occasional 60 or 80 volt versions available. 20 volts is fine for the average yard maintenance offered by a string trimmer, but to effectively cut through heavier materials with a metal or vinyl blade, 40 volts or more is recommended, and 60-80 volts is preferred. You can either have a straight or curved shaft. Usually a steel shaft, it’s what connects your working head to the cutter’s motor. Bent Shaft: Choosing a bent shaft will help you work closer to the project, but due to its design, these types are more likely to encounter mechanical issues. The best walk behind brush cutter will likely have a straight shaft. Straight Shaft: A straight shaft brush cutter has a more direct line to its power source. In addition, they often work better with various attachments than bent shaft models. Since brush cutters tend to be heavy duty, good handhold options are essential. A double handle “bike handle” design or a looped handle offer good control and are the most popular options. Both styles require both of your hands to control and direct the tool. Since you’ll likely be using blades for more serious work, a sturdy grip is key to staying safe. A lot of gas engines come with anti-vibration technology for when you aren’t using your tool, but the power is still on. The best brush cutters will try to minimize vibration while in use, but you will still be dealing with some consistent vibration that can cause muscle fatigue. They may even include an anti-vibration handle. Electric engines tend to be either on or off. That means when you’re not actively cutting, they aren’t vibrating, and that can give you a short break from all of that vibration and noise. If you’re investing a lot of money into a piece of equipment like this, you’ll want to consider the types of blade available for your unit, as well as the cost of replacement blades. Similarly, even string trimmers offer different diameters of cord, and units which use thicker cord often can handle more rugged cutting duties than their lightweight cousins. Blades often are available in nylon or metal versions. In most situations, a metal blade is better as it can handle the heavy-duty materials with ease. Within that category, a steel blade is the best choice by far. Nylon is generally meant for more typical lawn care solutions, as they rapidly get dinged up and can break far easier. Overall, I personally prefer to go for the more heavy-duty options over the lighter ones, as you’ll be regularly replacing lighter cord or nylon blades and can get more longevity over the heavier options. In order for brush cutters to be more versatile, interchangeable heads and multiple attachments are a must. Selecting a model with an attachment system like this means it’s more affordable over time since it will work for both large and small tasks. 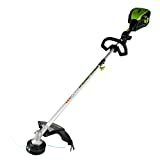 The most convenient and popular options come with a blade attachment and a string trimmer head, allowing you to use the brush trimmer to whack weeds and edge along with cutting heavier stuff. A quick change function will let you switch out attachments using a lever or other simple tool, instead of needing to take off the whole head. This gives you convenience in swapping from nylon to metal blades, or replacing spools of nylon cord. But be sure before you buy that this option supports everything you want in your machine! Features Converts to string trimmer w/included attachment, can be blower/hedge trimmer/cultivator with additional attachment purchase. The Remington brush cutter is powered using Quick Start technology, designed to give you easier and smoother pull starts. It’s lightweight, easy to maneuver, and offers both string and blade options. It offers multiple attachment options as well, and can be turned into a cultivator, hedge trimmer, or blower (attachments sold separately). The cons for the Remington Ranchero are that it requires about two minutes to warm up to full capacity, and that it might need tuning right out of the box to get it functioning as you want it. Neither one detracts massively from the Remington’s functionality, and it’s my personal pick for gas-powered cutters. The Troy-Bilt brush cutter has a full-crank engine, eliminating the necessity of an old-fashioned pull cord. In addition, its adjustable j-shaped handle gives you added control and works for left-handed or right-handed people. It has a 4-tooth, 8-inch blade for cutting through dense vegetation and is attachment-capable. However, it’s prone to tangling and can be tough to start. Overall, Troy Bilt makes incredible products, and this is a great option for thick grass and weeds. 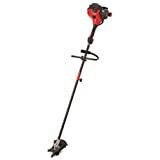 Features Comes with a dual-line string trimmer head and three steel blades (3 tooth, 8 tooth, 40 tooth). The TIMBERPRO 52cc isn’t just a brush cutter, but a trimmer as well, crafted with a split shaft function for convenient yard cleaning. It has a shoulder harness and bike-handle grips, and it’s easy to start and operate. It comes with a two-year warranty. However, it’s expensive to repair if something develops a fault, and it is bulkier than most other models on the market. Features Comes with string trimmer head, can be customized with additional accessories (not included). Not California-compliant so can’t be shipped there, but good for all other states. The Husqvarna brush cutter is a multipurpose device with many different attachments available separately. 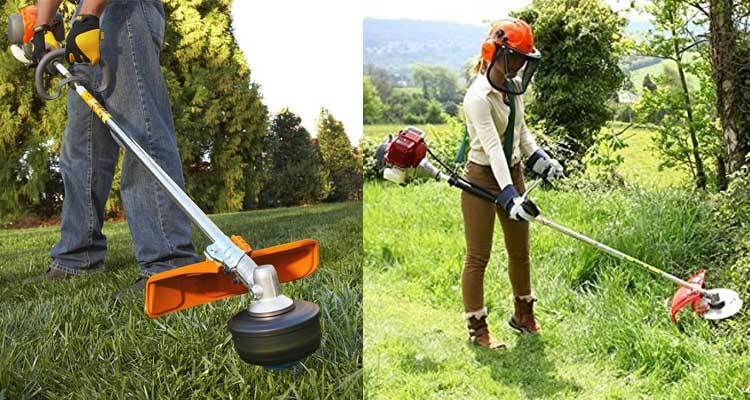 It has a quick start engine, loop handle, and many of its weed-eater attachments including the grass blade work with the cutting guard. If bought with three 32-oz cans of pre-mix fuel, you can extend your warranty from 2 years to 4 years. It has very low vibration, which won’t leave your hands numb. But it does require cool-down time regularly, and you may find the timing of your forced cool-down breaks inconvenient. 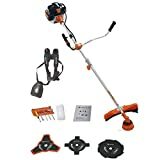 Features Converts to hedge trimmer, leaf blower, edger, brush cutter, tiller, pole saw with attachments (not included), compatible with most gas attachments. Since electric models often focus on being just string trimmers, it’s hard to find one that can handle outside attachments. But the GreenWorks Pro GST80320 takes Ryobi Expand-It, TrimmerPlus and PoulonPro attachments. 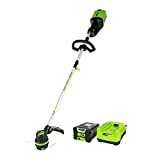 This enables you to convert it to an electric and battery powered brush cutter, tiller, leaf blower, hedge trimmer, edger, or tree trimmer as needed. As a string trimmer, it uses .080 cord, but can use as heavy as .095 if you want, giving it more weed-whacking ability. Its 80V power makes it on-par with many gas models while still keeping it lightweight and manageable. If there’s a drawback, it’s in the power packs, which often last only 25-30 minutes during heavier jobs, and take about the same amount of time to charge. You’ll need at least two battery packs to have continuous workflow, and the battery packs aren’t cheap. Happily, the packs will work with many other GreenWorks tools as well. 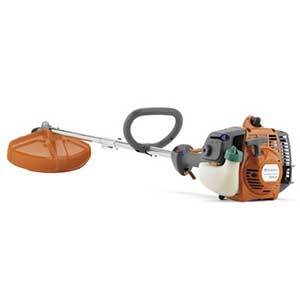 Features Attachments not currently available, but has heavy-duty dual string trimmer head. Can handle 4ah or 2ah batteries. I know, this article is supposed to be about brush cutters, not string trimmers! However, this particular string trimmer has something which most others don’t. Next to its easy-start button, there is a power control that enables you to push up the power to higher levels. Since it can take up to .095 cord and has a dual-cutting capability, amping up the power gives you an almost brush-cutter like potency with a string trimmer. Still, it doesn’t accept other attachments, and it does still run on batteries, so it comes in just shy of the other electric choice. All in all, if you need the power of a brush cutter, I’d probably pick the gas cutter from Remington over the electric option. 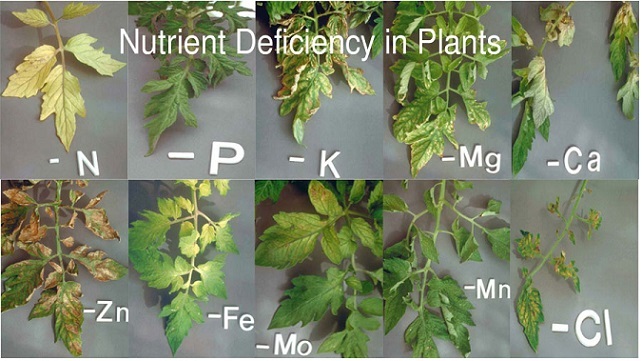 But there’s a lot of good aspects of the GreenWorks model with all of its potential attachments, too. 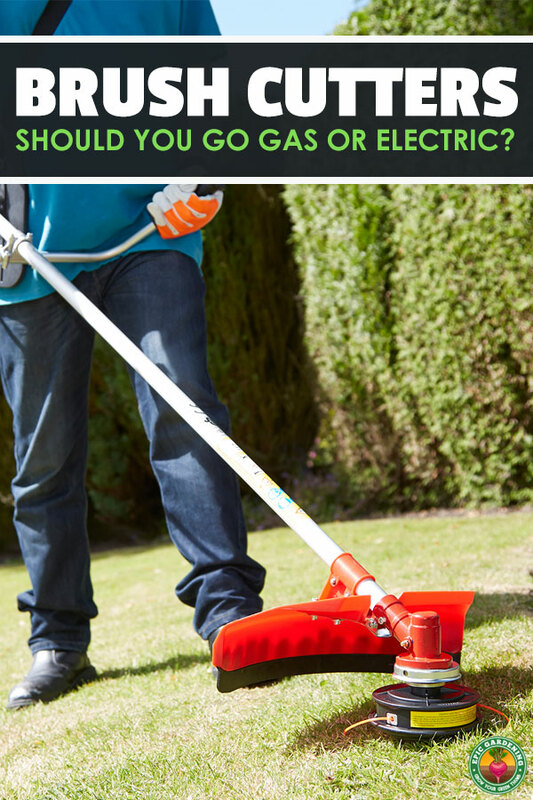 Which would you pick – gas or electric?